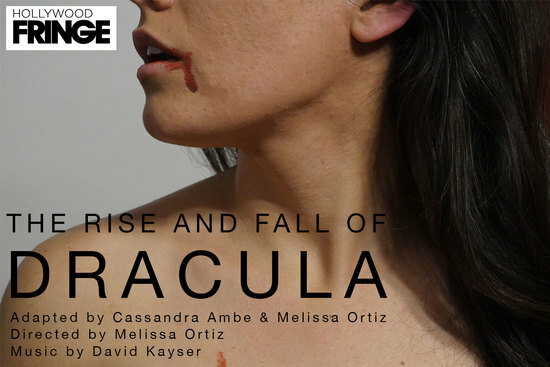 The Rise and Fall of Dracula: a bold and immersive retelling of Bram Stoker’s tale takes shape in this piece inspired by mythology, legends, and a variety of vampire lore. Artists Melissa Ortiz, David Kayser and Cassandra Ambe have crafted a compelling story that infuses contemporary dance, original music compositions, and familiar and not-so-familiar characters from the well-known story. The piece takes the audience back to the ancient roots of Dracula, slowly weaving the legend of the formidable, enigmatic spirit by which we have become so intrigued. The story’s themes of Power, Belief, and Companionship are so intertwined with dark imagery and music that it feels as if the characters could reach out and grab us. Run time: 75 mins. *Please note the production requires audience mobility. The audience will be asked to walk and/or stand throughout. Due to the roaming nature of our show, and to respect the times of the Fringe shows after us, we will not be able to offer late seating. Please plan accordingly.